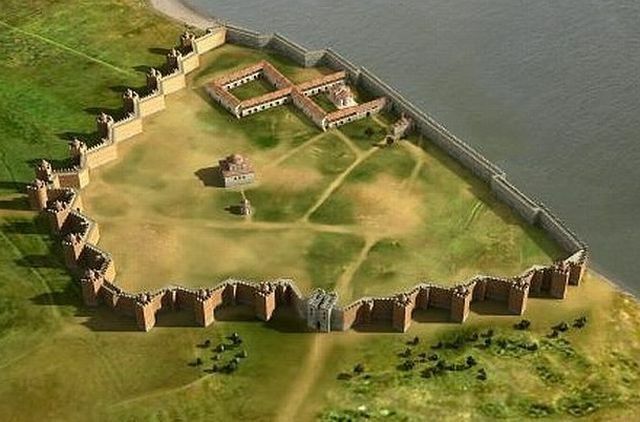 Archaeologists in Bulgaria’s Danube city of Silistra have discovered the outer fortress wall as well as a number of buildings from the Ancient Roman city of Durostorum, and medieval structures from the periods of the Byzantine, Bulgarian, and Ottoman Empires. The fate of the Archaeological and Architectural Preserve “Durostorum – Drastar” in the Bulgarian Danube city of Silistra will continue to fall prey of institutional neglect in spite of the latest archaeological discoveries, including the previously unknown outer wall of the city in Roman times, according to local development activists. The city of Silistra known as Durostorum or Dorostorum in the Antiquity and as Drastar (Drustur) in the Middle Ages features remains from Ancient Thrace, Ancient Rome, Byzantium, the Bulgarian Empire, and the Ottoman Empire. The Archaeological and Architectural Preserve “Durostorum – Drastar” was set up in 1971, and technically covers two-thirds of the area of the modern-day city. However, much, if not most, of the city’s archaeological and historical heritage likely remains unexplored, and preserve itself remains underdeveloped. The current rescue archaeological excavations, which have revealed some 20 previously unknown archaeological structures, including the previously unknown Late Antiquity outer fortress wall likely built during the reign of Roman Emperor Diocletian (r. 285-306 AD), are severely limited by a requirement to adhere to the excavations carried out by construction workers in execution of a project for the rehabilitation of Silistra’s water supply and sewerage system. The relevant Bulgarian government institutions from the Ministry of Culture are unlikely to expand the scope of the archaeological work in order to develop further the Durostorum – Drastar Archaeological Preserve in a major cultural tourism destination, alarm local activists whose identity we choose to keep secret in order to protect them from experiencing negative consequences from speaking out. They indicate that, as in many other cases in archaeology-rich Bulgaria, the construction works in Silistra are taking precedence over the proper exploration, conservation, preservation, and promotion of archaeological, historical, and cultural heritage sites and structures. “Everything indicates that the National Archaeological and Architectural Preserve “Durostorum – Drastar – Silistra” will once again be neglected and abandoned,” one local activist has told ArchaeologyinBulgaria.com. Another activist has pointed out that some of the archaeological structures revealed in the past weeks of rescue excavations have already been destroyed as part of the continuing construction works, and reminds that the same thing happened in a similar water pipeline project when a pipe laid in the city was placed on top of preserved archaeological structures destroying part of them. 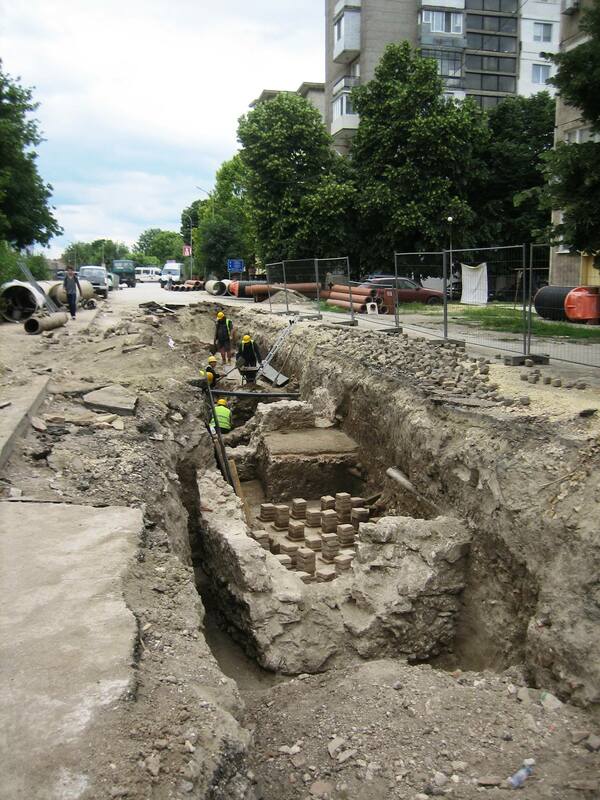 The local development activists stress the need for increased public pressure over Bulgaria’s National Institute for Cultural Heritage Properties, which is part of the Ministry of Culture, as well as over Silistra Municipality and the construction firm executing the water supply project in order to help preserve the newly discovered archaeological structures, and carry out proper wide-reaching excavations. They also cite different cases of neglect and damages to Silistra’s rich archaeological heritage in the recent years, including the construction of a mini-mall on top of the southern gate of the inner fortress of Durostorum – Drastar in 2007-2008 allowed by the National Institute for Culture Heritage Properties, which has authority over the fate of all cultural monuments in Bulgaria. In their words, the construction led not only to destruction, but also to possibly organized overnight looting when the construction excavations brought to the surface hundreds of ancient and medieval coins. “Back then, there was some kind of a protest on part of the archaeologists… but everything has passed. Now there is a shopping mall but there isn’t any history left at that place,” says one of the activists retaining serious suspicions over the role of the National Institute for Cultural Heritage Properties in the above-mentioned events. With respect to the new archaeological discoveries in ancient Durostorum / medieval Drastar, they expect that an expert commission from the Institute will likely rule in favor of their “conservation” by reburying them in order to make way for laying the pipes. This decision is expected to be made at the insistence of the Silistra Mayor and the construction company carrying out the project so that it can be completed faster, and without any “distractions”. 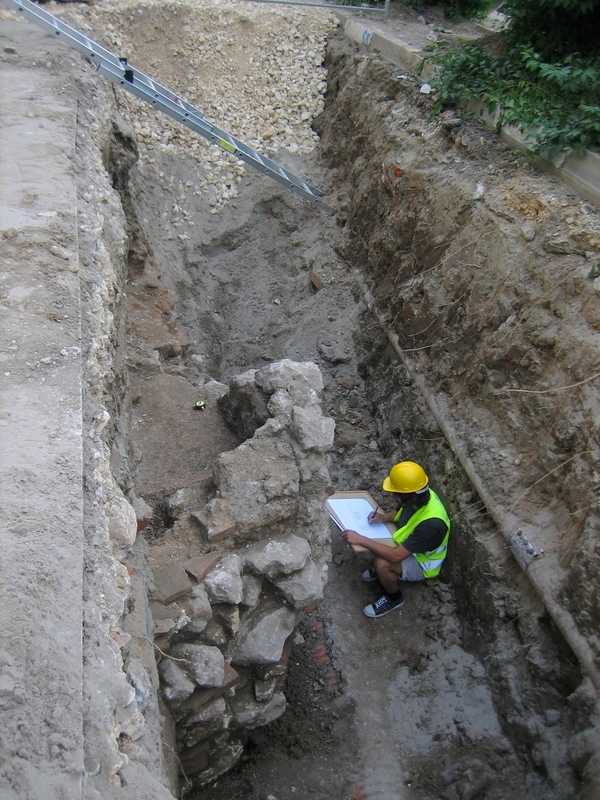 Their critics also emphasize the importance of the newly discovered outer fortress wall of the Ancient Roman city of Durostorum by noting that this wall had remained unknown throughout decades of archaeological excavations of the city by the renowned Bulgarian archaeologists such as Stefka Angelova, who excavated it for 30 years, or Peti Donevski, or the current director of the Silistra Regional Museum of History Ivan Bachvarov. In an earlier radio interview, Silistra archaeologist Prof. Georgi Atanasov, who has discovered the outer fortress wall, explains that the discovery has resolved a major puzzle in the history of the Roman city of Durostorum because the archaeologists believed that the only fortress wall protected the military camp of Ancient Rome’s Legio XI Claudia (Claudius’ 11th Legion), while the canabae legionis, i.e. the settlement where the population resided, was left unprotected. The new discovery means that the previously known fortification was an inner city fortress wall, while the newly found outer fortress encompassed the entire city including the Canabae of Durostorum. Atanаsov himself points out that the present rescue excavations in Silistra are limited to the areas of the construction works, which restricts the archaeologists to only registering the structures they uncover partly or fully, but they are still useful because they will provide benchmarks for proper archaeological excavations of Durostorum / Drastar in the future. Unfortunately, as our sources indicate, the Durostorum – Drastar Archaeological Preserve will likely continue to be the victim of institutional neglect, and possibly other factors, and it seems highly unlikely that the archaeological excavations in Silistra will be expanded beyond the range of the construction works, or that the newly found structures from the Antiquity and the Middle Ages will be properly preserved and exhibited for the public. Learn about the impressive history of the city of Durostorum / Drastar / Silistra in the Background Infonotes below! The Ancient Thracian and Roman city of Durostorum (Dorostorum) – known as Dorostol or Drastar (Drustur) during the periods of the Bulgarian Empire in the Middle Ages – is the precursor of today’s Bulgarian city of Silistra. It was originally founded as an Ancient Thracian settlement on the Lower Danube. 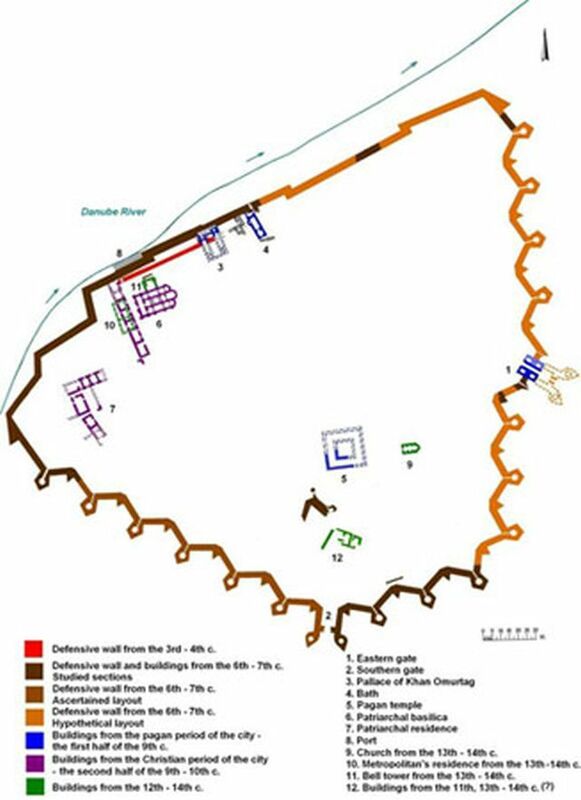 In 29 AD, the Romans built there a fortress keeping the settlement’s Thracian name of Durostorum (or Dorostorum). After his victories wars over the Dacians north of the Danube, Roman Emperor Trajan stationed the elite Claudius’ 11th Legion – Legio XI Claudia – at Durostorum, and the fortress remained its permanent seat until the demise of the Roman Empire. In 169 AD, during the reign of Emperor Marcus Aurelius (r. 161-180 AD), Durostorum was made a Roman city – a municipium. Between the 2nd and the 4th century AD, it was a major urban and military center of the Roman Province of Moesia Inferior (later divided into Moesia Secunda and Scythia Minor), and a major Roman stronghold against the barbarian invasions. The earliest 12 Christian saints from the territory of today’s Bulgaria are Roman soldiers executed in Durostorum during the Great Persecution of Emperor Diocletian between 303 and 313 AD, including St. Dasius and St. Julius the Veteran. In 388 AD, today’s Silistra became the seat of a Christian bishopric. Roman general Flavius Aetius (391-454 AD), who is known as “the last of the Romans” for his army’s victory over the Huns in the Battle of the Catalaunian Plains in 451 AD, was born in Durostorum. During the barbarian invasions of Sarmatians, Goths, Huns, Avars, Slavs, and Bulgars the city was ransacked several times. It was rebuilt during the reign of Byzantine Emperor Justinian I the Great (r. 527-565 AD). The Slavs settled in Durostorum around 590 AD, and named it Drastar (Drustur). The city became part of the First Bulgarian Empire (632/680 – 1018 AD) around 680 AD. Bulgarian Khan (or Kanas) Omurtag (r. 814-831 AD) is known to have built there a large imperial palace known as the Danube Palace of Bulgarian Khans where later Bulgarian Tsar Simeon I the Great (r. 893-927 AD) resided in 896-897 AD. In 895 AD (during the Bulgarian-Hungarian War of 894-896 AD), the Magyars (Hungarians), allies of Byzantium, besieged the Bulgarian army under the personal command of Tsar Simeon I the Great in the fortress of Drastar but were repulsed. The next year the Magyars were decisively defeated by the Bulgarians in the extremely fierce Battle of Southern Buh (in today’s Ukraine) which eventually led their tribes to retreat to the west and settle in the region of Pannonia essentially founding today’s Hungary. During the later years of the First Bulgarian Empire the region around today’s Silistra was known for its rock monasteries. In 927 AD, Drastar became the seat of the first internationally recognized Patriarch of the Bulgarian Orthodox Church, Patriarch Damyan. In 969 AD, it was captured by Knyaz Sviatoslav I of Kiev, the ruler of Kievan Rus in 945-972 AD, but two years later it was conquered by Byzantium under Emperor John I Tzimiskes (r. 969-976 AD) in the Battle of Dorostolon, and renamed Theodoropolis, after military saint Theodore Stratelates. In 976 AD, Bulgaria’s Tsar Samuil (Samuel) (r. 977/997-1014 AD) regained the city until 1001 AD when it was again conquered by the Byzantine Empire. Drastar was a metropolitan’s residence and a major fortress during the Second Bulgarian Empire (1185-1396 AD). In 1279 AD, under Tsar Ivailo (r. 1277-1280), Drastar withstood a three-month siege by the Mongols. It was conquered by the invading Ottoman Turks in 1388 AD (ca. 1400 AD, according to some sources), and turned into a major Ottoman fortress. Subsequently, Silistra has remained a major urban center in the Lower Danube region.